ELEAGUE, Turner and IMG’s premium esports content and live tournament brand, will make its initial foray into reality television with the launch of ELEAGUE The Challenger: Street Fighter V, Friday, April 20, at 11 p.m. ET/PT on TBS. 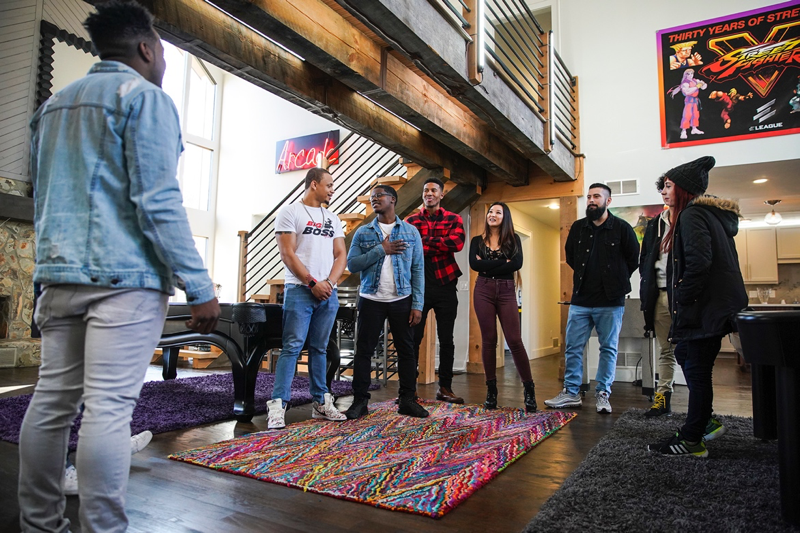 The five-part series will feature an entertaining clash of personalities, as cameras follow seven contestants in an Atlanta-area house while they face off in Capcom’s classic fighting game Street Fighter V: Arcade Edition. The series will also take viewers along with the participants as they experience the greater Atlanta area through unique “Challenge” activities and strive to earn a spot among the world’s top Street Fighter® V stars in ELEAGUE’s upcoming Street Fighter V Invitational 2018 (more information available here). The last person in contention at the end of the show will earn a berth to compete for a $250,000 prize pool at the upcoming Invitational. Click the first image for a video preview of the premiere episode, and click the second image for a gallery of downloadable production photography. ELEAGUE The Challenger: Street Fighter V will feature popular ELEAGUE fighting game personalities Steve “Tasty Steve” Scott and Stephen “Sajam” Lyon as co-hosts. The show will then continue weekly with new episodes airing each Friday at 11 p.m. ET/PT on TBS. The series was created and produced in partnership with Executive Producers Eli Holzman and Aaron Saidman of The Intellectual Property Corporation and Showrunner/Executive Producer Tony Yates.